McClain is an unique Southern experience from the time you arrive to your departure. 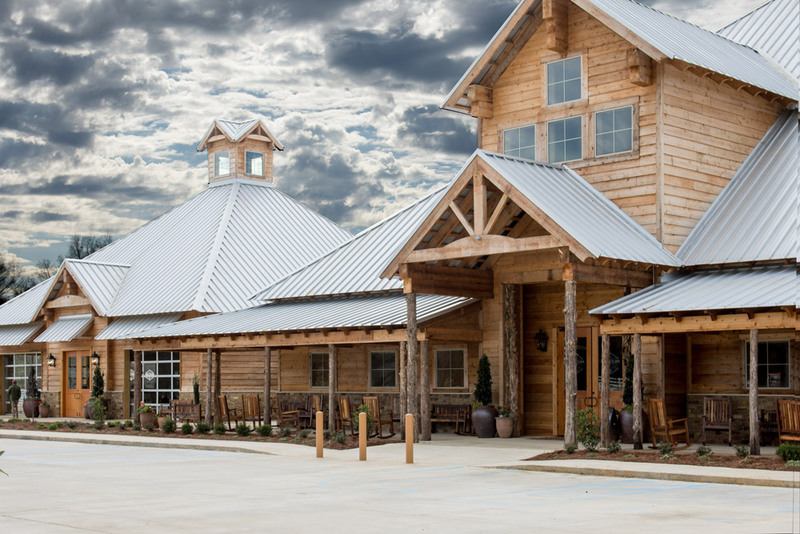 We are nestled just east of Jackson, Mississippi on approximately 2,000 beautiful acres in Brandon, Mississippi. Complete with a welcoming, tranquil lake, and acres of scenic wilderness, McClain offers a number of services within it’s acres. From flawless weddings to delicious home cooked foods at the restaurants, to exotic wildlife on the Safari tour; McClain has an experience for everyone and any occasion. Featuring a variety of settings, entertainment, and overnight accommodations, McClain is ideal for corporate meetings and events, weddings and receptions, family reunions and get-togethers, church retreats and so much more. Thank you for working with us for Mama Clara's Christmas! The venue worked out well for us. We received numerous complements on location and food. I appreciate you assistance. I just wanted to tell you THANK YOU so much for the job that you and your staff did for our party Saturday night. The food, the presentation of the food, your staff …. every single thing and every single detail were just absolutely perfect!! We simply could not have been more pleased. The food is what everyone is still talking about today!! It was just delicious – and sooooo well presented!! We will definitely look forward to working with you again! Had our wedding here and loved the experience! they were able to handle my special requests and made our big day easy! Everyone loved the food and the Lodge was a great place to stay for our wedding night! Great place for ANY event! They ROCK! Everything was absolutely perfect! I don't think I'll ever get tired of mentioning this place or visiting. The venue itself is breathtaking, and there are so many natural sights to take in and explore. The catering was the best I ever had; I wonder if we can just come back to eat? HA! The value was phenomenal for everything that we were able to receive (a beautiful venue, the best customer service, delicious food, and did I mention: zebras?)! & Thank you, Mrs. Angela, for being with us every step of the way, even when Roosevelt was being a Groomzilla. It's Beautiful! A place that you can Just lose yourself in the elegance of the atmosphere . My husband and I had the pleasure of attending the 30th Annual Charity Ball of the Rankin County JA's. It was wonderful. We also had a cabin to stay the night. So nice and cozy, very accommodating, a bed to die for, very roomy. Have made plans already to attend next year. Thanks McClain Lodge. Very nice, peaceful, calming, serene place set way back on a huge acreage with several unique & exotic animals roaming the grass lands at the edge of the woods. 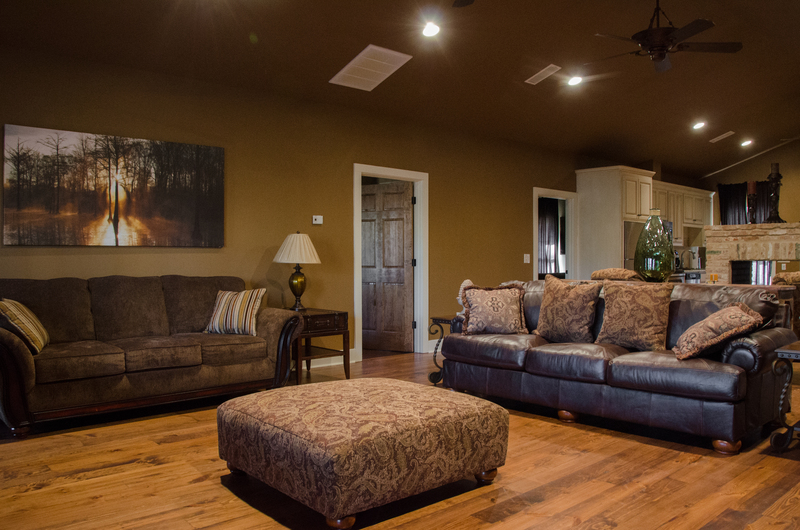 The lodges and cabins are very well appointed in a rustic but elegant stained wood. You just feel at home as soon as you arrive. Trees, stream, Chapel in the backdrop with a wooden walking bridge from the lodges. The staff was wonderful! The catering was very nice and delicious! McClain Lodge is the perfect atmosphere for a perfect wedding. As the father of the bride I wanted to be sure Lauren had everything she dreamed of on her special day. Angela and her staff helped to make it come true. The lodge is beautiful. The food was delicious. It was a good as it can get. Thank you McClain Lodge for helping us make her dream come true. McClain Lodge truly gave my husband and I the "fairytale wedding." From the beautiful scenery, to the elegant atmosphere of the reception hall, our day was absolutely perfect. The staff went above and beyond to make everything wonderful. Thank you could never be enough. We've had a long and fruitful relationship with McClain Lodge, hosting on average two student events each year. The facilities are fabulous and the level of service we receive from their staff is exceptional. The food by McClain Catering was delicious as usual. We have so much fun out there. It’s just beautiful. Each year we say that was the best party then the next year no that was the best party and on and on... We loved the bench around the fire pit - that was perfect! Thanks so much for the delicious food! McClain Catering is getting top notch reviews from my senior adults for our Valentine's Banquet. Tony, Thank you for the wonderful food at our March 27th Board Retreat. We had a wonderful experience - the food was amazing! And, the hospitality was overflowing. I am coming back one day to make fluffly biscuits with you! Thanks again. Angela, Thank you for your work in organizing our rehearsal dinner. Debbie and I got so many compliments from family and friends on McClain Lodge, to the food and the service. Everything was well done! Please thank your staff: especially Tony, Leroy and Melissa. They all made this special occasion even more memorable. We just wanted to say thanks for everything. It was a wonderful event and our Mom thoroughly enjoyed herself as did our guests. The food was great and so was your staff. Thanks again! Please accept my sincere appreciation for your help for our Hearts for Heroes awards ceremony. Our sixth annual event was one of our best yet! This year, we recognized firefighters from Brandon, Cleveland, Columbus, Flowood, Gulfport, Greenville, Diamondhead, Hattiesburg, Horn Lake and Olive Branch. In addition, we were honored to have Governor Bryant in attendance. Thank you for your commitment to the Mississippi Burn Foundation. We look forward to having our event at McClain Lodge next year! Thanks so much for everything and for letting us use your beautiful property. You guys do an amazing job and we will tell everybody we know how highly we recommend it. Everybody at the wedding had a great time and kept commenting on how nice of a location we picked. Sarah and I are both very thankful for all of your help and hard work. We appreciate McClain Lodge very much! Angela, thanks so much for all of your help… from day one until the end on Saturday! We could not have asked for a better staff to assist us with all of our needs. Hats off to Chef Tony… he was wonderful! I work at TempStaff and have the honor of being in the Rankin County Leadership Class this year. I just want to thank you for allowing us to use your beautiful property for our overnight retreat! It was absolutely breathtaking and a breath of fresh air from the hustle and bustle. Thank you so much for all of your hard work preparing for, setting up, & working the event Tuesday night to make sure it was a success. We had countless compliments how great the food was. I don't think anything could have been any better. I hope to have the pleasure of working with ya'll again. I just wanted to tell you again how much we appreciate everyone yall did to make Brandi and Michael's wedding, reception and rehearsal dinner the type experience it was. All your staff was great to work with and so particular with things, making sure everything was covered for everyone. And - the food was GREAT! I cannot tell you how many compliments I heard on the food, place, staff and everything. Please tell Tony and everyone we said thank you! Elegant, beautiful setting, beautiful sunset, immaculate grounds. I didn't see one glitch in the evening! It was spectacular! I would recommend this venue for anyone planning a wedding or other function! So glad I was there to experience it! 5 Star Beautiful place for any event! The staff is the best I have ever worked with. And I must say Angela is the BEST; she did everything possible to make our wedding everything we asked for ..... thank you Angela and thank you McClain Lodge. 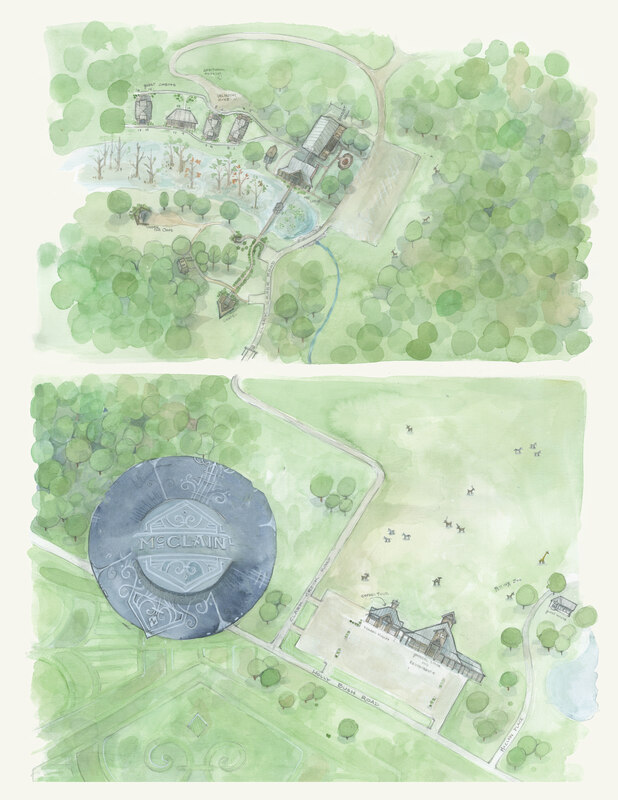 McClain is nestled in an idyllic setting just east of Jackson, Mississippi, on approximately 2,000 beautiful acres – complete with a welcoming, tranquil lake – make up the property. McClain is the perfect venue to host or celebrate your most important life events. Featuring a variety of settings and overnight accommodations, McClain is ideal for weddings and receptions, corporate meetings and events, family reunions, church retreats, and so much more. It just doesn’t get any fresher! Depending on the season, you can get ripe-off-the-vine veggies, freshly harvested honey, and hand-picked fruits. Not to mention the fresh canned pickles, jams, and jellies. No matter the time of year, you can get your animal feeds here. Visit often, you never know what seasonal items you will find! Try our savory chef creations. Fresh biscuits made-from-scratch, pancakes , Farm-fresh eggs that are cooked to order. Enjoy our high-quality beef and elk, gulf seafood, chicken, or chops paired with “Fresh from Here” savory sides. Fresh cut to order, our array of cheeses will delight your palate, whether you like your cheese solo or added to your favorite dish. Handmade, never processed, our cheeses are specially selected to evoke a true sense of farm-fresh goodness. Monday – Sunday, 6:00 a.m. – 9:00 p.m. Locally Sourced … Precisely Cut. Choose from our unique selection of local beef and other prime meats. Then let our experienced butchers skillfully carve the exact cut you desire. 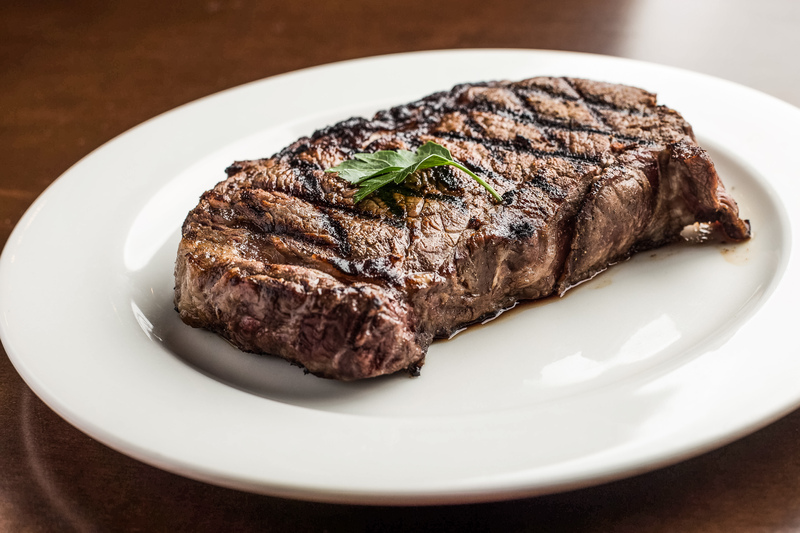 Take it home to cook yourself, or enjoy your hand-selected cut in The Steak House! Let Us Worry About Dinner! Breakfast & lunch, for that matter too! In our Takery, not only do we offer hot meals to go, we have everything you need to make your meal complete. We offer freshly made casseroles, meats, and sides you can enjoy at your own dinner table. All made with love in our own kitchen using our “Fresh from Here” ingredients. Enticing pastries, cakes and breads! Come try a fresh brewed cup of coffee from our espresso machine to compliment our mouthwatering selection of pastries, pies, cakes and homemade fudge. With aromas that smell this good, the only question you’ll have to ask is which homemade delicacy will satisfy your senses this trip! Gifts for All, Including Yourself! Hand-crafted gifts, locally sourced goods, and unique items to set your home apart. Plus, our fully stocked Outfitters shop will get you ready for a hike or hunt in the great outdoors. Browse before your meal. Or stop by anytime to shop ’til your heart’s content! Sunday – Thursday, 6:00 a.m. – 10:00 p.m.
Friday – Saturday, 6:00 a.m. – 11:00 p.m. 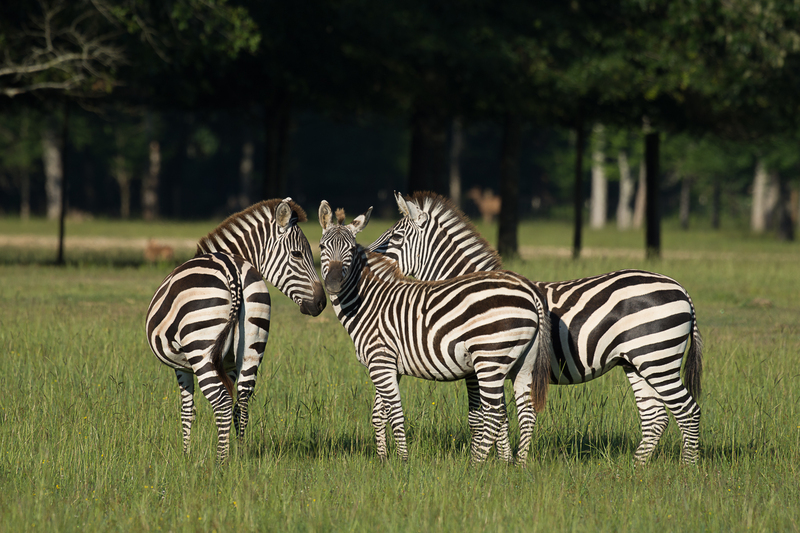 Ever think you could see a Zebra or Buffalo in Mississippi? Our animals are as exotic as they come, and you can view them all from the comfort of our Observation Deck. Plus, you can enjoy a delicious meal from our buffet or menus. Monday – Saturday, 6:00 a.m. – 10:00 p.m.
“Fresh from Here” – not a canned vegetable in sight! Enjoy our delicious lunch or dinner buffet. Our menu changes daily and we know It will be hard, but save room for our decadent desserts! From crafted cocktails to craft beer, our quaint local pub offers the best libations and atmosphere for decompressing after work or kicking off your weekend. Delicious food choices available, from snacks and appetizers to full meals. Monday – Thursday, 4:00 p.m. – 10:00 p.m.
Friday, 3:00 p.m. – 11:00 p.m.
Saturday – Sunday, 11:00 a.m. – 11:00 p.m. The Perfect Place to Gather. From family get-togethers to corporate events, the Livery provides the ultimate personalized, private venue. Let us handle the details. You enjoy your company! Reservations required. Savor the Sizzle. Delve into the Difference. Choose your cut from our high-quality local beef and elk. Enjoy Gulf seafood, chicken, or chops paired with “Fresh from Here” savory sides. In an atmosphere likened to an intimate gathering of friends, get ready for a dining experience to rival all others.